Fan Conduct • Showing Mustang Pride through positivity! Please read our philosophy on Fan Conduct at our sporting events. Booster Clubs • Five teams on campus have their own booster clubs and more are being developed every year. Current Booster Clubs (Football, Men’s Basketball, Women’s Basketball, Baseball, and Women’s Volleyball) which team will be next? Get involved now! Please help us reach your student-athletes with this information! Did you know that the NCAA’s initial-eligibility academic standards are changing for student-athletes enrolling at an NCAA Division I university on or after August 1, 2016 (this year’s high school sophomore class and younger)? A brief summary of the changes can be found here. To assist in getting this message out, we have developed the Initial-Eligibility Resource Index , a new electronic tool that contains links to the NCAA Eligibility Center’s resources and presentations available free of charge. Please share these materials broadly with students, parents, coaches, etc. Additional high school-specific resources are available on the High School Portal Resources page. The NCAA Eligibility Center receives thousands of calls each year regarding hardcopy transcript receipt due to the two- to three-week processing time needed to mail, log, scan, and post transcripts to student accounts. You are strongly encouraged to submit transcripts through one of the approved e-transcript providers (Docufide/Parchment, Scrip Safe, ConnectEDU, National Transcript Center/Pearson Edustructure, USMO ET, and XAP) as these transcripts usually appear in student accounts within 48 hours. Grade Reporting Schedule • We are very serious about the “scholar” in Scholar Athlete. PCA Parent 2-minute drill article Right After a Competition. Competing in a variety of sports can help you develop different senses of leadership. For example, in a sport where you are less skilled than your teammates, you may become more of a vocal, emotional leader, while in your stronger sport, you might be able to lead more by physical example. In sports and beyond, both forms of leadership are valuable, and you will find yourself in situations that call for one or the other…and sometimes the need to smoothly transition back and forth in the same day. Observe “Cooling Off” Period PCA • Wait to talk to the coach about something you are upset about for at least 24 hours after a game. Emotions, both yours and the coach’s, are often so high after a contest that it’s much more productive if you wait until a day goes by before contacting the coach about a problem. This will also give you time to think about what your goals are and what you want to say. Note: There are exceptions to the 24-hour cooling off period. If the coach’s behavior puts your child’s safety at risk, appears unethical, or exemplifies poor sportsmanship, speak to him or her as soon as you can safely do so. 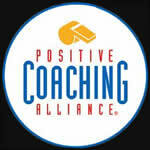 Know Your Role PCA • Let’s say your child has just had an opportunity to make the winning play in a game and blew it. If you competed in this sport growing up (and perhaps even if you didn’t), you may have suggestions for how your child could have made the play. Suggestions from parents are often not well received by their children. Athletes get so much coaching already – from coaches, from teammates, and from the game itself. When parents add to this flood of feedback, it often overwhelms the child, like the proverbial straw that breaks the camel’s back. Rather than obsessing about the skills and strategy of the game, engage your children around the life lessons from their experience. This is your role as a Second-Goal Parent. Open Ended Questions PCA • When talking with your children about a recent game, use open-ended questions to get them to talk while you stay in listening mode. ~“What lessons can be learned from a tough loss?” Without downplaying your child’s disappointment, lend perspective and fill their Emotional Tanks by pointing out things that did go well in the game. ~“Both teams competed so hard. I hope you can feel good about your effort.” Then come back to the Big Picture. Targeted Cheering PCA • During one-sided games, it is a good idea to take even more of your focus off the scoreboard, regardless of what side of the score your team is on. Parents often just cheer reflexively whenever their children’s teams score. But Second-Goal Parents go beyond reflex to cheer for the things they want to see happen again – things that reinforce their ultimate goals surrounding their child’s sports experience. If you want your children to value giving their best efforts, then cheer for your children for their efforts regardless of the outcome or scoreboard. Advanced Second-Goal Parents stretch outside the box and cheer for great plays and efforts made by players on the opposing team as well. Model Preparation for Practice PCA • Sports provide children with numerous opportunities to learn life skills. The power of preparation is one such skill. Preparation routines are one of the best ways athletes can prepare themselves for “peak practice”. How can parents help develop this skill? The first way is to model the behavior: develop and use routines to help you prepare for work, meetings, errands and sports practice! Think of everything you will need to be totally prepared and present for the activities in your life—consider meals, clothing, equipment, notes, maps etc. Remember, we get what we prepare for. Next, work with your child to develop his own pre-practice preparation routine. Help himcreate a checklist that includes everything he will need to have his best practice.This list can include everything from thinking through when he needs toleave home/school to get to practice on time (or even a little early! ), to making sure he’s gotall needed equipment and water ready to go. Learning the skill of preparationthrough sports will pay huge dividends down the road for your child. The Magic Ratio… PCA • Research shows that about five Emotional Tank-fillers per criticism is optimal for motivation. Keep track of the tank-fillers and criticisms you deliver to your child over the course of a day with pluses and minuses on a piece of paper. You will be amazed at how many criticisms you hand out. Once you get to 5:1 (truthful and specific praises), you’ll see why it’s called the Magic Ratio. Your child’s emotional tank will be so full they’ll do things you would have thought were impossible! Remember, the kinds of things that fill tanks are praise (truthful and specific), reinforcing positives, listening and nonverbal actions (nodding, clapping, smiling). Criticisms, corrections, ignoring and nonverbal actions (frowns) are things that tend to drain tanks. Rules for Parents of Athletes • click here to read a gathered list of rules for parents of student-athletes.